Seven NFL Clubs have relationships with Caesars Entertainment, including the Falcons, Ravens, Bears, Colts, Saints, Raiders and Eagles. These partnerships, along with the new deal do not include sports betting or daily fantasy. The partnership gives Caesars the right to hold official watch parties at its properties, but does not include sports wagering, daily fantasy sports or the company’s hotels and resorts. However, the deal is still a major win for Caesars as it will receive access to the NFL’s database of 180 million fans. The Associated Press, citing unidentified sources, said the deal is worth $30 million. Caesars declined to comment on the financial terms. “Combining the league’s 180 million fans with our 55 million Total Rewards loyalty program members will expose millions of people to the exclusive and exciting year-round opportunities at our properties,” Caesars President and CEO Mark Frissora said in a statement. Caesars will now be able to use NFL branding and trademarks in its casinos and marketing material beginning with this weekend’s playoff games. Las Vegas casinos have been unable to use trademarks and phrases, such as the words “Super Bowl,” nor team logos in their promotional materials. The new deal also gives Caesars the inside track for hosting events associated with the 2020 NFL Draft, which is scheduled to occur in Las Vegas. “Deals like this start to loosen up the NFL’s stance on gambling — so even though this isn’t a sports betting deal, it is moving in that direction,” said John Salerno, operations and compliance manager for sports book operator USBooking. The NFL had long distanced itself from Las Vegas because of the city’s association with gambling. In 2003, the NFL blocked the Las Vegas Convention and Visitors Authority’s efforts to advertise during the Super Bowl broadcast despite producing ads that never showed casino imagery. However, the stance began to soften in recent years. The Oakland Raiders announced two years ago they would relocate to Las Vegas. However, the NFL has maintained a tough stance on sports betting, pushing for federal legislation and compensation for league data. Sports book operators, including Caesars, say regulation should be left to states. The NFL is still the only one of the top four professional U.S. leagues not to have signed a sports betting partnership with a casino. There is plenty of money at stake. Football is the most wagered sport in Nevada, accounting for 36 percent of all sports bets in 2017, according to Gaming Control Board data. MGM Resorts International has already reached deals with Major League Baseball, the National Basketball Association and the National Hockey League. MGM also scored the first-ever deal with an NFL team in October when it announced an agreement with the New York Jets. In November, MGM CEO Jim Murren was questioned about affiliating with the NFL at the ICE Sports Betting USA Conference in New York. Murren said the sticking point with developing an NFL deal was the league’s desire to enact uniform standards in all states through the federal government, a position MGM and the American Gaming Association — the industry’s lobbying group — oppose. 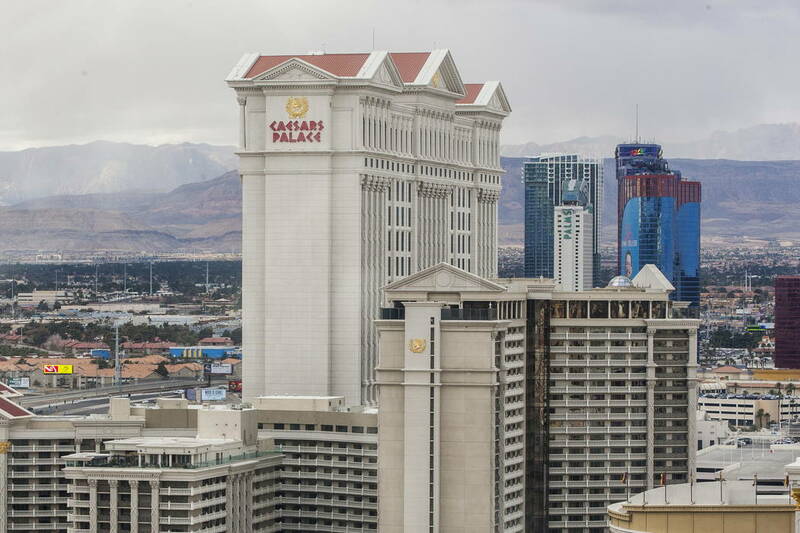 Caesars may have edged out its Las Vegas rival for the league’s first agreement because of its greater U.S. footprint and long-standing ties to football teams. Caesars is the largest U.S. gaming company by properties. Seven NFL teams — the Atlanta Falcons, Baltimore Ravens, Chicago Bears, Indianapolis Colts, New Orleans Saints, Oakland Raiders and Philadelphia Eagles — already have ticketing partnerships with Caesars. The American Gaming Association praised Thursday’s agreement. “The NFL’s official partnership with Caesars is a perfect example of the value of contractual relationships between leagues and the casino gaming industry,” said Sara Slane, senior vice president of public affairs for the association. Contact Todd Prince at 702-383-0386 or tprince@reviewjournal.com. Follow @toddprincetv on Twitter. Contact Richard N. Velotta at rvelotta@reviewjournal.com or 702-477-3893. Follow @RickVelotta on Twitter.